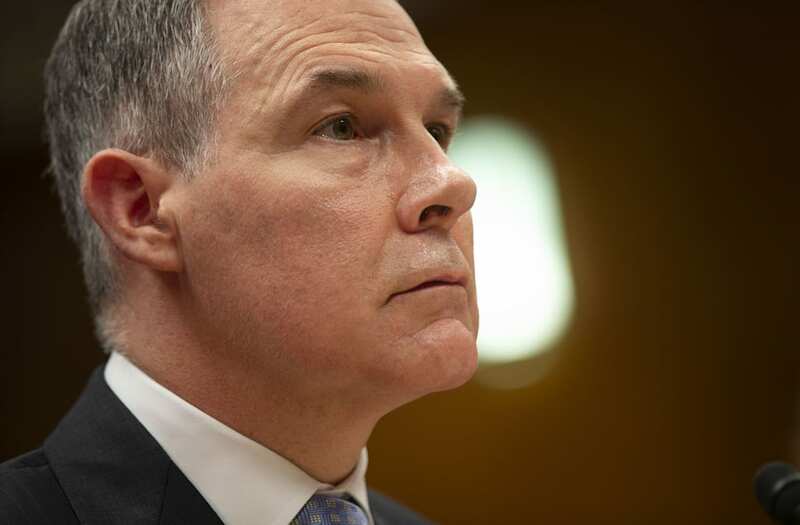 President Donald Trump announced on Twitter Thursday that Scott Pruitt has resigned from his position as the head of the Environmental Protection Agency, following months of scrutiny and multiple controversies. "I have accepted the resignation of Scott Pruitt as the Administrator of the Environmental Protection Agency," Trump wrote on Twitter. "Within the Agency Scott has done an outstanding job, and I will always be thankful to him for this." "The Senate confirmed Deputy at EPA, Andrew Wheeler, will on Monday assume duties as the acting Administrator of the EPA," the president continued. "I have no doubt that Andy will continue on with our great and lasting EPA agenda. We have made tremendous progress and the future of the EPA is very bright!" FOX News reports that in his resignation letter to the president, Pruitt wrote that it was "extremely difficult" for him to abandon the position "because of the transformative work that is occurring." "However, the unrelenting attacks on me personally [and] my family, are unprecedented and have taken a sizable toll on all of us," he added. Pruitt's resignation comes amid multiple ethics scandals surrounding his alleged misuse of taxpayer money on things like first-class travel and the installation of a $43,000 soundproof phone booth in his office. The New York Times reports that the embattled former chief is facing 13 federal inquiries into his questionable spending habits.